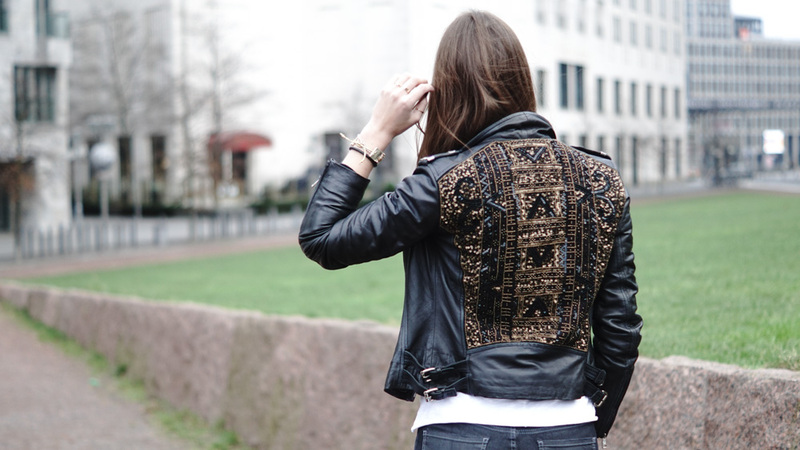 Well, it was love at first sight when I saw this leather jacket from Rich & Royal in their online shop. Not only because of the beautiful embroidered back, but also because of the zipper details, the epaulettes and the cool Biker-Look. 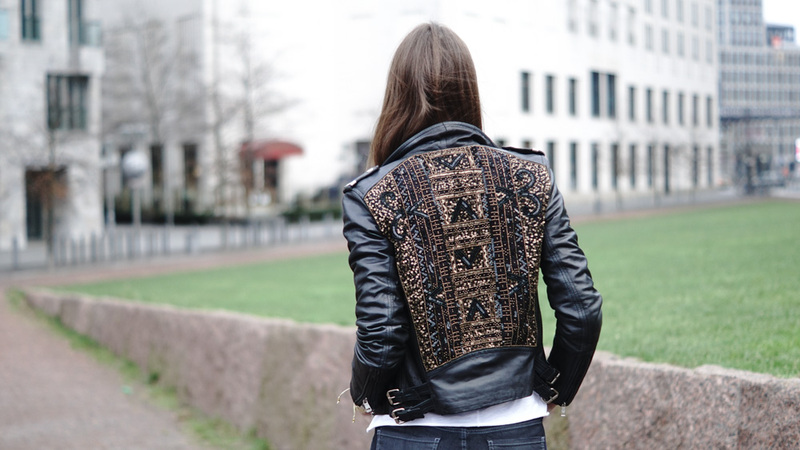 I own a few leather jackets, but this one is the most special one – of course, because of the back. The leather jacket is not the only item I found at Rich & Royal, I got this pair of jeans and a white tee as well. The shoes were all I had to add, because these Rich & Royal item don’t need much more accessoires etc..